EdTech Help GuidesED206 Word TCAHow Do I Move A Text Box Or A Picture? Below are instructions on how to wrap text. 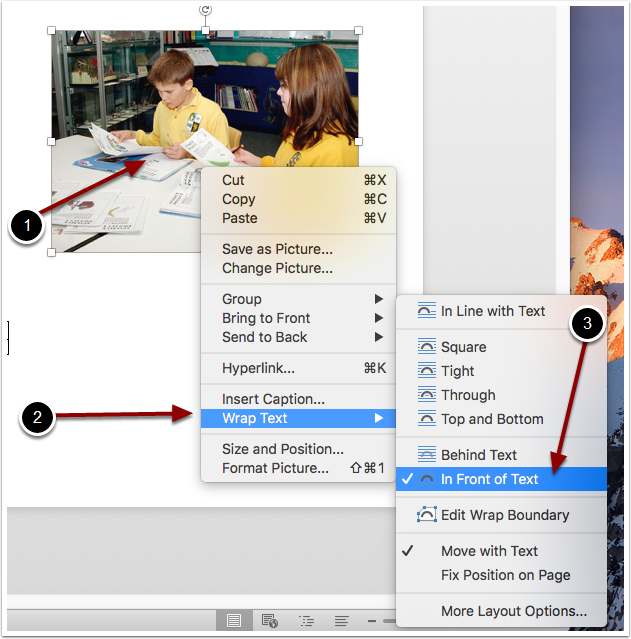 Wrapping the text allows a text box, shape, or image to move freely within a Word Document. Prev: How Do I Insert An Image Into Word? Next: How Do I Insert And Edit Shapes?